We are half-way through the week and on that note, we welcome you to a fresh edition of the Big 5 Daily. 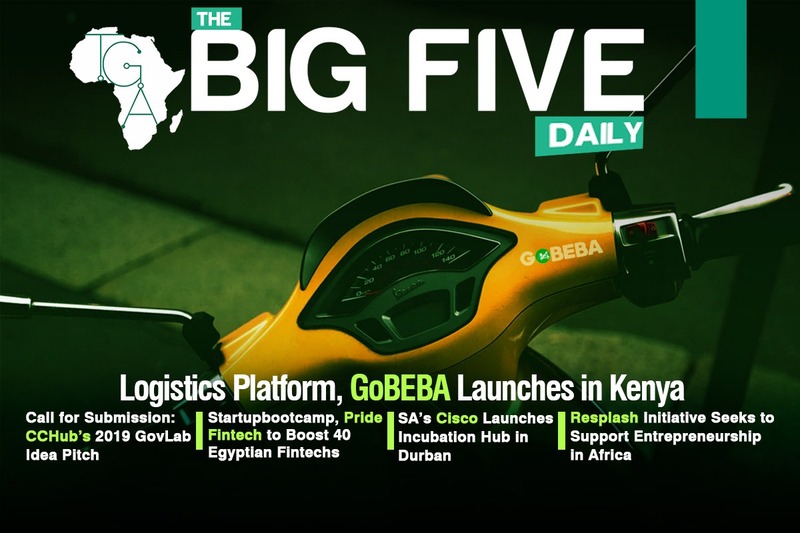 Big news, GoBEBA, an on-demand e-commerce logistics platform built by former OLX and Amazon executives, has gone live in Kenya. This step is a move to disrupt the hyper-local on-demand logistics market in Kenya, to compete against the likes of Glovo, Sendy, SafeBoda, UberBoda, TaxifyBoda, BusyBoda and GetBoda among others. They plan to expand to other African countries such as Nigeria, Egypt, South Africa, Ethiopia, Ghana and Ivory Coast over the next five years. Moving on, Egypt’s Pride Capital has collaborated with Startupbootcamp to aid the growth of 40 Egyptian fintech startups through the next four years in Startupbootcamp-Pride fintech Cairo program. This is a six-month program that Pride capital and Startupbootcamp will leverage on to provide Egypt-based fintechs with industry expertise, exposure and exclusive access to mentors and experts. Finally, Cisco a South African based IT multinational company has launched a R10 million worth incubation hub ‘Cisco Edge Incubation Centre’ in Durban with aim to build small businesses and startups, as well as quicken their entry into the marketplace. Based at the Dube Trade Port, the hub will be a second-of-its-kind launched by Cisco. The first was launched in Pretoria in November 2018. That’s it for the Big 5 Daily.